The Frequent Flyer number WILL appear somewhere on the "ticket". By "ticket", I mean that it will appear on the e-ticket receipt, or when the ticket is viewed on the relevant website. It's certainly possible that you'll need to go looking for it (ie, it might not be visible - you may need to go into the section to change it in order to see it, for example), but it'll be there. The Frequent Flyer number MIGHT appear on the boarding pass. Generally there will be some indication there there is a frequent flyer number assigned to the passenger, and potentially what status they have, but it's not uncommon for the number itself not to be there, or for it to be truncated/masked in some form. 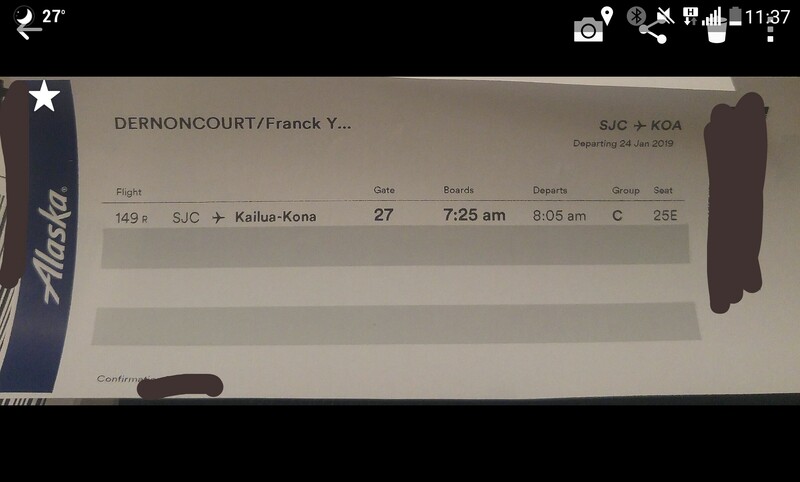 For example, on a United Airlines boarding pass, my FF number shows up a "UA-*G ******123" which means that my Frequent Flyer number is from United Airlines (UA), I have Star Alliance Gold status (*G), and the last three digits of my number are 123. For security reasons, the entire number is not printed. If you don't see your frequent flyer number on your ticket or boarding pass, you should check with the airline to see whether your number was properly linked to your reservation, and to make sure that your miles / points get credited to your account. Not the answer you're looking for? Browse other questions tagged air-travel tickets loyalty-programs or ask your own question.